Editor’s note: Today we hear from Chet Patel, director of Information Technology at the Walt Disney World Swan and Dolphin Resort. Read how the resort uses Chrome digital signage to inform guests about events and staff about important news. At the Walt Disney Swan and Dolphin Resort, we’re constantly looking for creative ways to put our guests first. That ethos drives our day-to-day work at the resort, where we’re using Chrome-based digital signage as a new way to keep our visitors up to date on activities and events and to communicate with staff. We’re a big resort, with more than 2,200 guest rooms and facilities spread out over 87 acres of lakefront property in the Walt Disney World Resort in Lake Buena Vista, Fl, which makes communications challenging. To solve the problem we chose NoviSign’s Chrome-based digital signage solution because it’s cost-effective, scalable and secure. We can easily customize it as our needs change. Because Chrome signage is simple to deploy, it had a minimal impact on our existing IT infrastructure. NoviSign made deployment easy by helping with training and hosting the platform. Chrome digital signage helps our staff and guests get useful information throughout the day. At the front desk, our employees show incoming guests videos of rooms they might want to choose. And we use the signs to tell guests about activities at the resort and news such as the weather so they can grab a poncho if there’s a thunderstorm heading our way. In our employee-dedicated areas, the human resources department alerts staff to important news, such as when it’s time to enroll in our health plan, and the security department plays safety-related videos. Chrome digital signage is so easy to manage that IT staff doesn’t need to get involved with programming. Each department handles content on their own from the central console, which means our team can focus on IT-related work, such as resolving key encoding problems or point-of-sale workstation issues. We’ve also saved considerably on the devices. 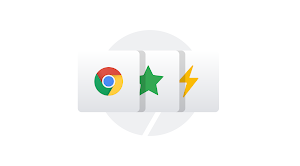 It costs less than $200 in set-up, configuration and licensing fees for a Chromebit to power a digital sign, compared to up to $600 for a PC. 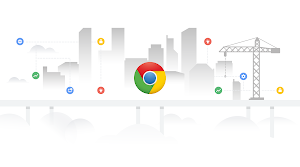 Maintenance is minimal because we don’t have to apply security patches or worry about continual updates; Chrome devices are automatically updated. So far we’ve deployed a dozen Chromebits and two Chromeboxes, and we’re planning to use more in the coming months. It’s keeping with the way we’ve always operated at the Walt Disney Swan and Dolphin Resort, by using the newest technologies for the most time-honored purposes: entertaining people and making sure they have the best vacations possible.